Thank you for your interest in the Makai PK-55 Ukulele. 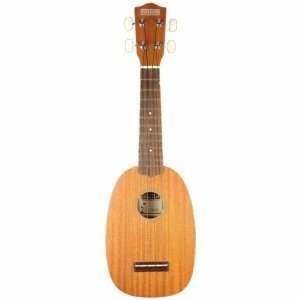 The Makai PK-55 Uke is a Pineapple shaped body ukulele and has quality mahogany body, back and sides with it. A nato neck, rosewood fingerboard and a bone nut and saddle. 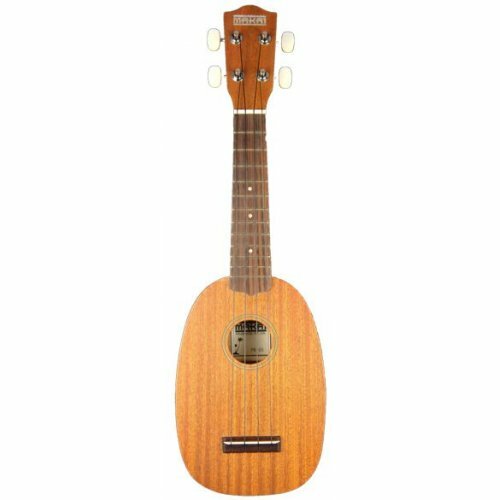 This Makia uke uses GHS nylon strings known for their quality of performance.